The origin of the automatic music boxes can be traced back to man’s enthusiasm to create auto mated things. He started with making automated birds and animals. The Greeks were the ones who were enthusiastic about making mechanical animals and birds. From there, man’ attention was diverted to the production of automatic musical instruments. During the 15th century there was a musical instrument called ‘carillon’. 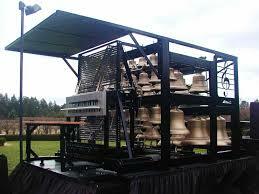 It was a tower of bells which was rung by a player to produce very pleasing rhythms. He did it by striking the bells with a hammer. Later, in the 13th century a clever carillon player in Flanders created a wooden cylinder with pins on it. They controlled some components which were connected t o the hammers that struck the bells. The spacing of the pins determined the rhythm. By changing the position of the pins one could change the rhythm. 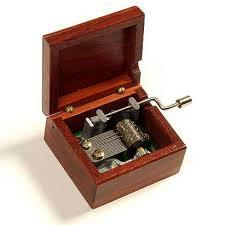 This mechanism is the now known forerunner of the present sophisticated musical boxes. Later the music was produced and controlled by metallic drums with pins on them and a metal comb. The teeth of these metal combs are pre-tuned. While the drums rotate the pins pluck the teeth of the comb producing music. The cylinder is attached to springs which could be wound up. 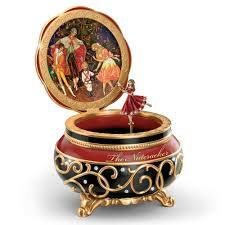 However, the credit of producing the first miniature music box rests with a watch maker from Geneva. He was Louis Favre. Thereafter, in the 18th century production of musical snuff boxes began. They were called ‘carillons à musique’. They were so small that they could be carried in a gentle man’s coat pocket. Thereafter, many variations in the device producing automatic music were invented by various people. 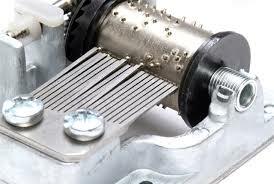 Instead of the pins on the cylinder plucking the comb, some cylinders rotated to activate bellows to produce the modified wind instrument sounds by feeding a pneumatic valve. Some activated leavers that produced modified string instrument sounds etc. 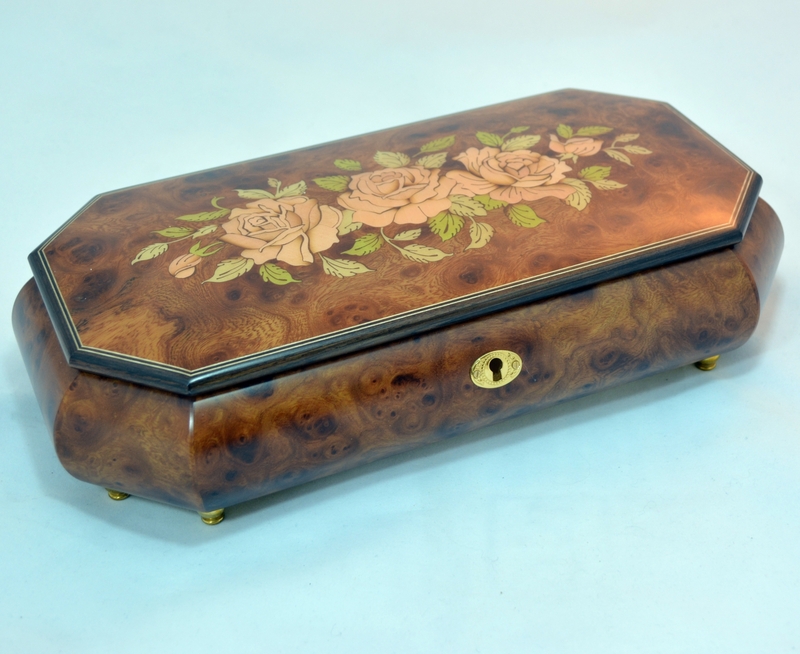 Now the musical snuff boxes are replaced with musical jewelry boxes and toys. 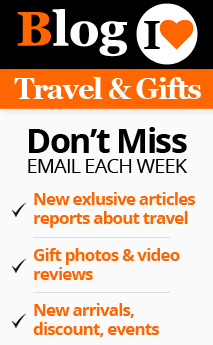 These ingenious creations provided the mankind with very meaningful and sophisticated gift articles. The mus ic boxes produced in the small town of Sorrento, Italy is now world famous. 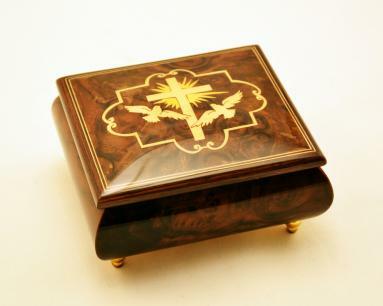 The reason for the popularity of these boxes is mainly the exquisite wood work done by the traditional Sorrento artisans. 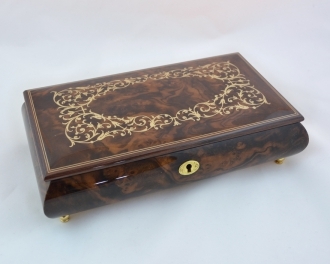 Another reason is the specialty of the wood used in making the Sorrento music boxes. Each of these music boxes and figurines are handmade and hand decorated individually. This makes them unique. The inlay and marquetry techniques used by the Sorrento artists are incredibly perfect. These techniques are handed down the generations by the maestros of each generation. 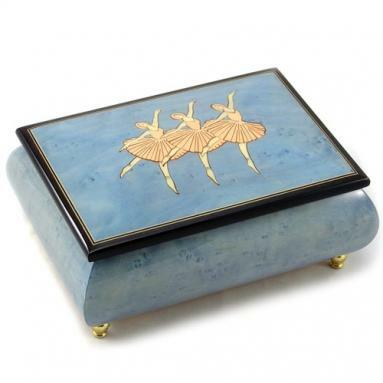 The creations are perfect in every detail, be it a toy, trinket box or figurine.